Sarah Friebert is founder and director of the Haslinger Family Pediatric Palliative Care Center, the Expressive Therapy Center, and the Addiction Services Program at Akron Children’s Hospital. The center is home to an accredited palliative care fellowship program and Advanced Certification in palliative care from The Joint Commission, and founding site of pediatric Palliative Care Leadership CenterTM (PCLC) training through the Center to Advance Palliative Care (CAPC). Dr. Friebert is a professor of pediatrics at Northeast Ohio Medical University (NEOMED) and past president of Akron Children’s Hospital’s medical staff. 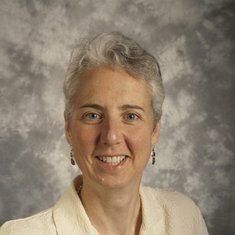 She is a founding member of the Office of Palliative Care at NEOMED; inaugural holder of the Sarah Elizabeth Friebert Pediatric Palliative Care Endowed Chair; author of multiple articles and book chapters; and an active researcher, including as co-principal investigator for a Centers for Medicare & Medicaid Health Care Innovation Award examining care coordination for children with complex medical conditions. Currently she is program director for palliative care research at the Rebecca D. Considine Research Institute, as well as consulting pediatric medical director for the National Hospice and Palliative Care Organization (NHPCO) and for Hospice of the Western Reserve. She is the founder, past chair, and an ongoing member of the Ohio Pediatric Palliative and End-of-Life Care Network (OPPEN). Dr. Friebert is principal investigator on multiple palliative care-related research initiatives, including a multi-site study on adolescent advance care planning funded through the National Institute of Nursing Research/National Institutes of Health (NINR/NIH).